With photovoltaics installations skyrocketing and ambitious government targets of reaching 100 GW of installed power in PV by 2022, India has become the second largest photovoltaics market in the world. 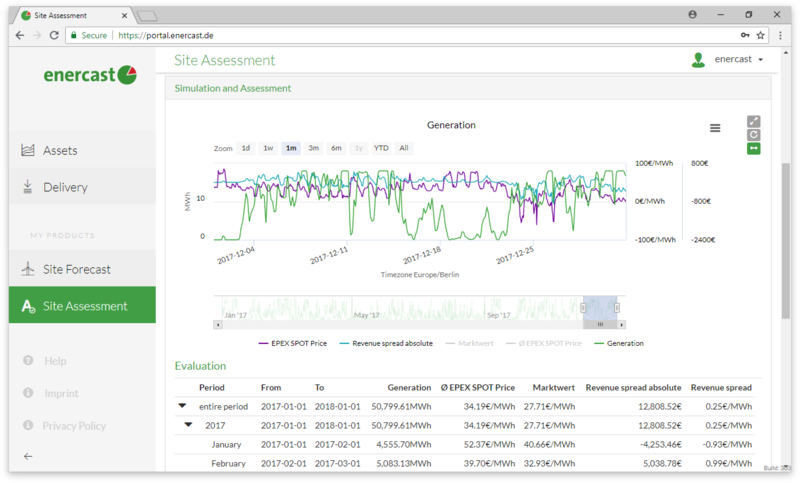 With proven precision in even the most demanding of weather conditions across India, enercast delivers the power forecasts needed to optimize renewable energy operations and minimize deviation settlement charges. Intersolar India, one of the largest exhibitions of the solar industry in India, is taking place 11–13 December 2018 in Bangalore. 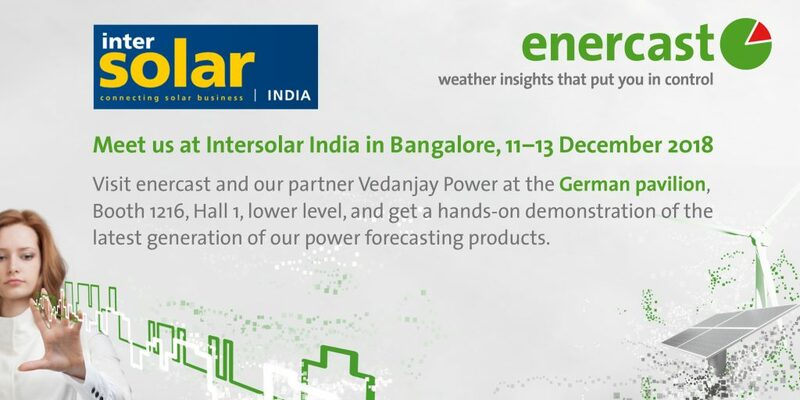 enercast can be found at the German pavilion, booth 1216 in Hall 1, lower level, side by side with our local partner Vedanjay Power. 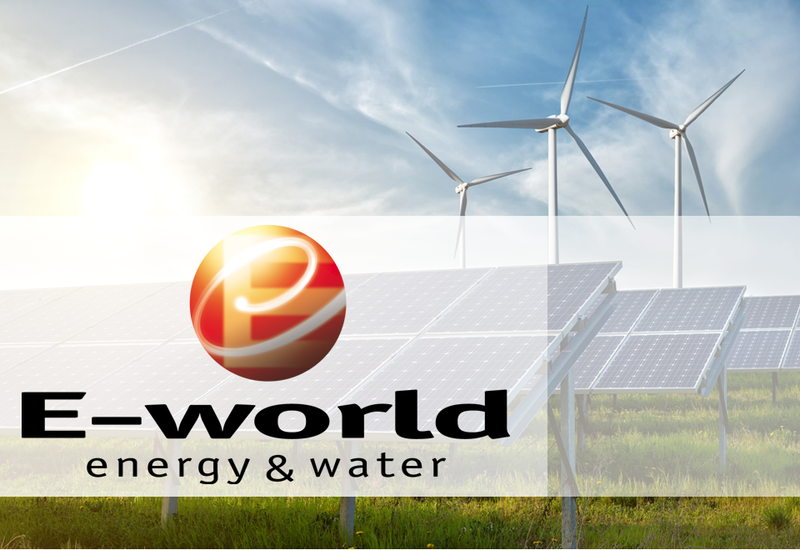 At our booth, we will showcase our platform for applied artificial intelligence, addressing the everyday needs of renewable energy producers by providing best-in-class forecasts and and allowing to make instant assessments. All of this is integrated with your data and the QCA of your choice and accessible through the interactive enercast Portal. Visitors will be able to get a hands-on demonstration of our latest product generation. In addition, enercast’s managing director, Dr. Henning Schulze-Lauen, will give a presentation on AI-based Forecasting of Renewable Power Generation in India and Worldwide at the Innovation Stage (Booth 2064, Hall 2) on Wednesday, 12 December from 1:10 PM to 1:30 PM. We are looking forward to seeing you in Bangalore!